District 6 Alder Marsha Rummel, who has been in the center of the action of many large developments on the East Side said that 722 Williamson was a unique site that currently is occupied by parking lots which the neighborhood agrees is “wasted spaces” and deserves a higher purpose. Yet it seems the height of the project will be the main stumbling block. Along Williamson Street there are limits and standards for remodels and new construction. In the 700 block, most portions limit new construction to five stories with up to two bonus floors if the developer can make the property affordable for low income residents, improve parking and traffic flow, or prove the design makes some other real contribution to the neighborhood that would offset an increase in size, height, and scope beyond the limits. Rummel said one worthy trade might be on the affordable income units. Currently, BDG is proposing 12 percent of the units at 60 percent of Dane County median income (based on WHEDA statistics) with the rest of the units being offered at market rates. Alder Rummel uses a slightly different calculation using Area Median Income (AMI) which varies by size of household. Spending 30 percent of income on shelter is considered affordable. A one person household featuring a minimum wage earner may top out at $15,000 gross and afford $377 per month rent. Some neighbors have expressed complete opposition to the project, however many more have concerns on various aspects but may be supportive of it going forward if changes were made. Most all, both at the meeting and from published comments, the character of the neighborhood was paramount. Jim Bower, Principal of the Baldwin Development Group, says the process has been very helpful. “The hope is that this will be a building that his here for fifty or one hundred years so slowing it down just a bit to further deepen the conversation and figure out if there are solutions to the concerns that are being raised is an important thing to do. ” Bower told Willy Street Blog. MNA Board Member Anne Walker who has extensive rooftop gardening experience was concerned about the amount of water that would be used to sustain them. She noted that the rooftop gardens, while pretty, are “Easy Bake ovens”. She also noted that the large shadow of the ten story tower would cause icing problems on the bike path in the winter. Daniel Grossberg, who has lived downtown since 1982 recently moved to the The Livingston, a mixed-use development with condos on the 800 block of Williamson, says residents like himself make decisions about living in a neighborhood based partially on documents like Willy BUILD. “Having a ten story and a seven story building in front of my space, that’s not something I anticipated. Based on the fact that this is a historic district and its zoning and my expectations in the neighborhood.” Grossberg said. While this may be the first test drive for the Willy BUILD plan, some are already wanting to tinker, saying its outdated. Lindsey Lee, Chairman of MNA P&D, has publicly supported the project, but turned over the chair of the meeting to MNA Board Secretary Michael Soref for the sake of impartiality. He felt that new perspectives were needed in the planning document. 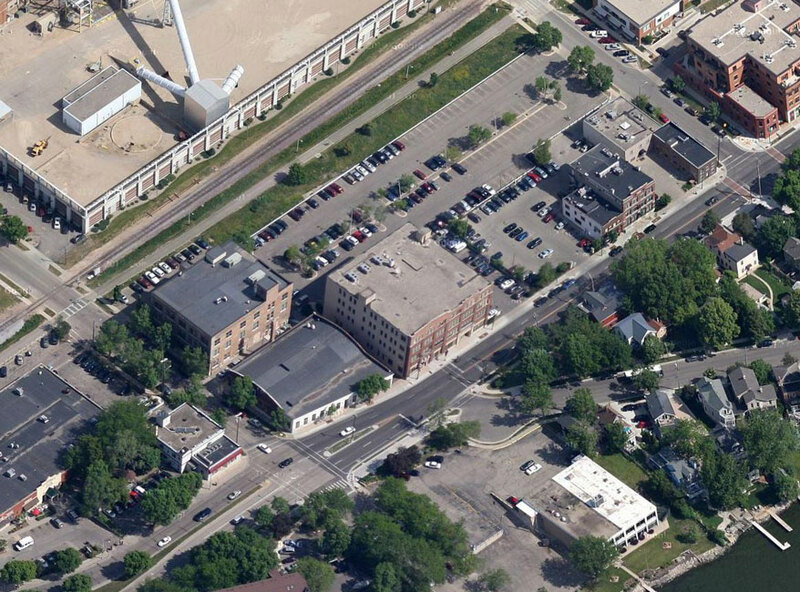 John Martens who owns the Madison Candy Company building adjacent to the proposed development says while he wants the right kind of development next door his agreement for collaborative development with BDG lasts until spring of 2015. Beyond that he would have to pursue improvements to his building on his own. Gary Tipler, a local historian who has chronicled the architectual history of the Third Lake Ridge Historic District, defended the relevancy of the Willy BUILD plan saying it took over two years to publish. “This [Willy BUILD] is significant and perhaps we should revisit it. But lets do it in a comprehensive way and not challenge it with this project, I think that would be a mistake.” Tipler said. Peter Wolf, who has lived on the 900 block of Jenifer for decades is a regular attendee of the MNA P&D meetings. His concerns have to do with what kind of area does the neighborhood want lower Williamson to be. The MNA P&D Committee is all-volunteer and while Lee is designated chair, voting membership is open to whoever shows up. For that reason the sub committee was formed to prevent a misrepresented vote on this project based on attendance alone. Because developers have to follow the guidance of City committees, Rummel advised that the neighborhood work with BDG early in the process so that they can weigh-in on changes advised by the City. Curt Brink, owner of the Brink Lounge said that if City committees know outside entities like neighborhood associations are doing the heavy lifting of vetting these developments they are more likely to control the pace of the process to allow all the input to be considered. How the site currently looks today. 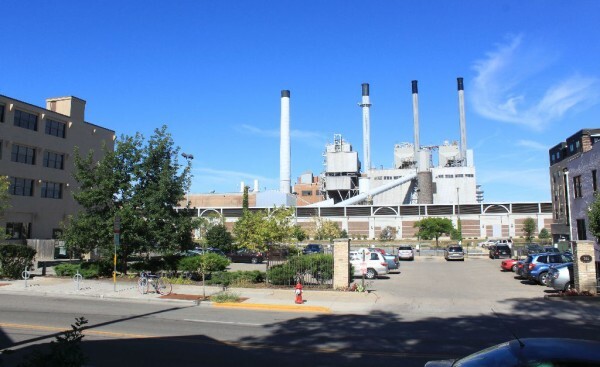 Surface parking lots and the MG&E power plant are the primary features. Jim Bower says their first step will be to make an informational presentation to the UDC Wednesday (September 25) to get some initial feedback that would be useful in further discussions with the neighborhood. Bower adds that the challenge in a project like 722 Williamson is getting a consistency of voices when working with constituent groups; working with the dedicated subcommittee would provide a working flow and “history of conversation”. The MNA P&D agreed to name ten members to the subcommittee, representative of all viewpoints on the project and will be chaired by Bruce Woods who formerly served on the UDC. In addition to Woods the committee includes: Joshua Clements, Anne Walker, Lindsey Lee, Daniel Grossberg, Gary Tipler, Curt Brink, Steve Gallo, Peter Wolff and Mike Soref. John Coleman, a regular participant in P&D meetings will be invited to join the committee as well. Times and place to be announced. Joshua Clements suggested that the committee make sure it’s interaction with BDG is not confrontational but collaborative. Curt Brink offered space in his design center in the Mautz building for the committee to do its work. The committee is aiming to have a recommendation for the MNA Board by November. BDG will be presenting the project at the MNA Board monthly meeting Thursday, September 19 at 7 p.m. at the Wil-Mar Neighborhood Center. The P&D Committee will recommend to the Board that it communicate with UDC that MNA has various issues with the project but is fully engaged with the developer to resolve them and to expect a final recommendation in near future. This entry was posted in Madison, Madison Commentary, Uncategorized, Willy Street, Willy Street Commentary and tagged 2008 Capitol Better Urban Infill Development (BUILD) Plan, 722 Williamson Street, Baldwin Development Group, Blount Street, Bruce Woods, City of Madison, Curt Brink, Daniel Grossberg, David Lohrentz, Gary Tipler, Greater Williamson Business Association, Ground Zero Coffee, Jim Bower, Lindsey Lee, Livingston Street, LLC., Marquette Neighborhood Association, Marsha Rummel, Marty Rifkin, MG&E, Peter Wolf, Plan Commission, Preservation & Development Committee, The Eldorado Grill, The Olds Building, The Rifkin Group, Urban Design Commission, Wil-Mar Neighborhood Center, Williamson Associates, Williamson BUILD Program II, Williamson street by TheEastSider. Bookmark the permalink. Having walked along the bike path to work yesterday morning, I don’t understand how people don’t see the proposed building as an improvement. The view from the bike path on that stretch is a hideous one: parking lot on one side, MGE on the other. The view from Willy Street is equally unappealing, a parking lot framed by MGE smokestacks. Willy Street can preserve it’s flavor and support modern living. More apartments means more people visiting restaurants, sitting in coffeeshops, riding the bus, and frequenting bars and grocery stores. All of that equals more jobs and a healthier community. Don’t diss my smoke stacks, I’ve become adoring of them over the years. Plus in the winter when they are belching out smoke I can always tell if its going to cold or not depending on the direction of the exhaust. Winds coming out of the North means very cold. By the way, that smoke will be blowing right acroos that ten story tower.. umm I love the smell burning coal in the morning. No one is going to be building a “historic” building on the parking lots in front of the former coal power plant. I’m not sure what those opposed to this on those grounds are going on about. Anything that’s being built is being built in 2013. Parking lots are not historic, they’re awful wastes of space. 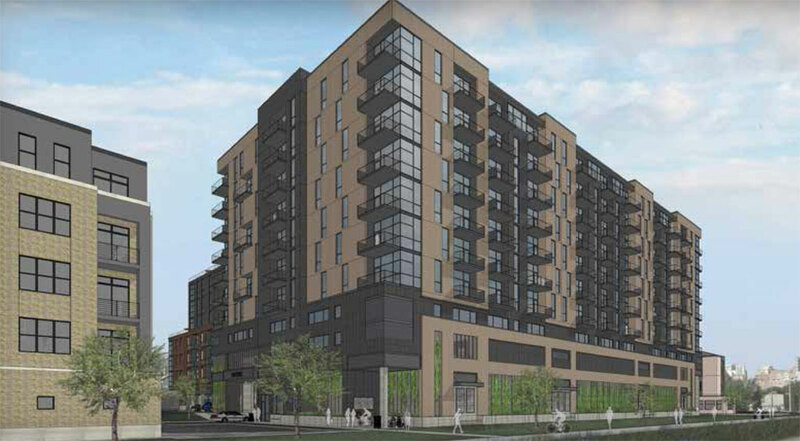 A ten-story apartment building that brings some affordable housing (!) is also a better “tower” than the ex-coal stacks. Seriously. Who LIKES that view? My only concern would be that this looks a lot like the other massive proposed & underway projects downtown. Some variation in style like there is with Block 800 would be nice. As a whole, I think this in-fill development is great. As others have mentioned in other media outlets, we need to bring density to the city and alleviate the conversion of green fields to housing, etc. That being said, there are a bunch of improvements that can be made to this development. I agree that the rendering make it looks too similar to other developments and some variation in design would be nice. Also, not sure about the connection to the bike path and what that will do for the flow of the bike path. Seems appropriate that folks could get to the bike path from either side/cross street, thus removing another intersection/conflict point on the path itself. Some early thoughts….looking forward to watching these plans develop.